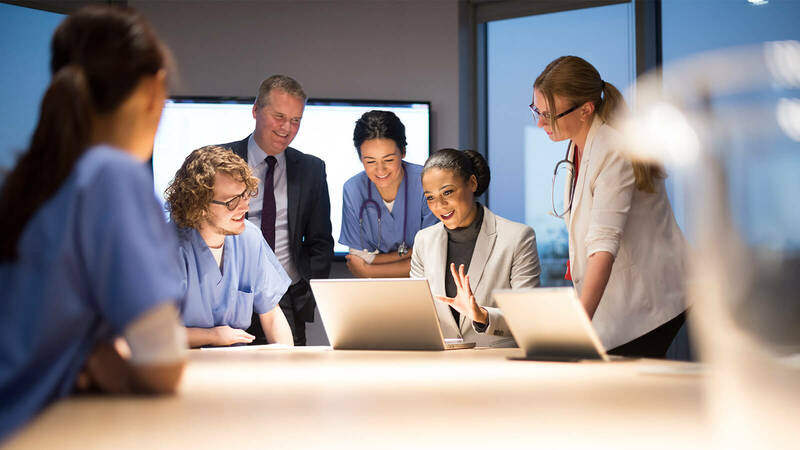 SimforHealth offers an immersive, interactive and collaborative approach for the initial and continuing education of healthcare professionals as a publisher of innovative digital solutions . For the past 4 years Simforhealth has been working with all the healthcare providers to design immersive and interactive learning solutions. Our Simulators have already been used to train more than 50,000 healthcare professionals worldwide. 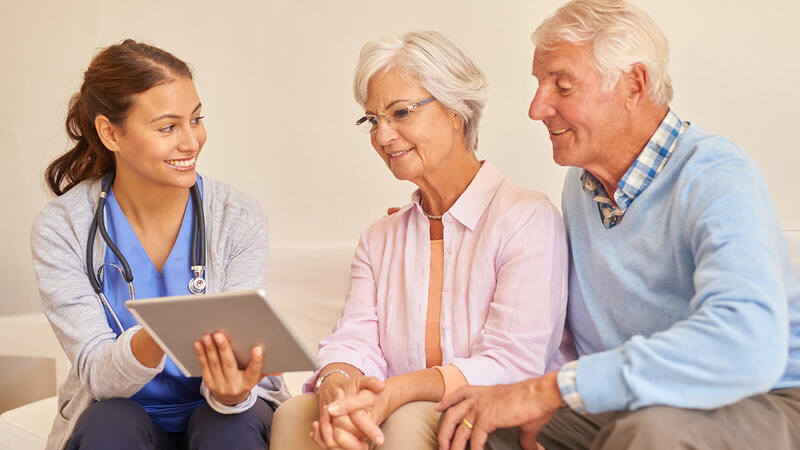 Our mission is providing interactive and efficient ways to train healthcare professionals thanks to the latest technological innovation. We offer a wide range of simulator technologies such as screen based simulators, or virtual reality depending on the pedagogical objectives. Learning by doing has always been a preferred way to teach medicine. 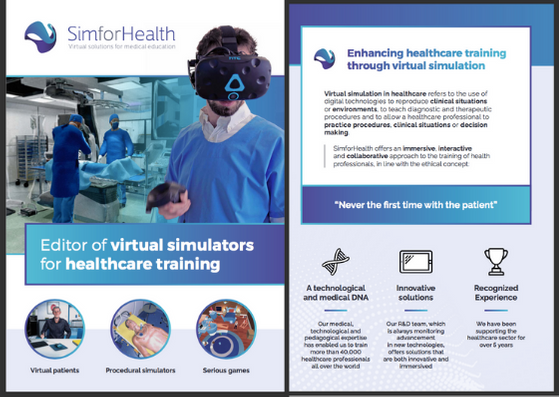 Virtual simulation allows repetition in training, improving retention of information and confidence of the learners.Virtual healthcare simulators are efficient to deliver a wide range of pedagogical objectives such as clinical reasoning or procedural learning. Virtual simulation is a necessary supplement to current training solutions. is the motto at the entrance to the Boston Center for Medical Simulation, on which SimforHealth bases its developmental philosophy, so that a patient can be cared for by health professionals who are perfectly trained. Respect is also a value which drives our teams. Beyond an open and attentive attitude, respect of others is about keeping one’s commitments to them in the long-term, whether it is a member of staff, a partner or a client. Healthcare Training has a direct impact on patient care. We believe repetition brings excellence. From a pedagogical perspective, we make sure our simulators are efficient tools for learning, with a positive impact on retention of information. From a Medical perspective, we only work with have medical experts in our team to ensure and adequacy with regulatory and best practices. All our solutions are hosted on the cloud for an access anywhere, anytime. This also allows continuous monitoring, retrieving results (KPIs) and information about the completion of each simulator. simulators, and encourage multi disciplinary usage. New technologies open new possibilities for training.